The registered office and registered agent of the TALI shall be the place and person who at any given time is reported by TALI to the office of the Texas Secretary of State (hereafter SOS) as the registered office and registered agent of TALI. The registered office or the registered agent may be changed by resolution of the Board of Directors, upon making the appropriate filing with the Secretary of State. The principal office of the Corporation shall be care of Administrator, 2951 Marina Bay Drive, Suite 130-564, League City, Galveston County, Texas 77573, provided that the Board of Directors shall have the power to change the location of the principal office from time to time. The Corporation may also have other offices at such places, within or without the State of Texas, as the Board of Directors may designate, or as the business of the Corporation may require or as may be desirable. The purpose of the Texas Association of Licensed Investigators, Inc. is to promote and encourage professionalism of licensed Private Investigators of the State of Texas through education, legislative information, training and fraternity. 2.1.1 Active Member - Voting: Individuals licensed or registered by the state agency charged with the licensing and oversight of private investigators in Texas as a Private Investigator or Private Investigations Company shall be eligible to make application for Active Membership. 2.1.2 Affiliate Member - Non Voting: Any person engaged in an investigative capacity with private industry or employed by a city, county, state or federal agency in an investigative capacity may apply for Affiliate membership. Affiliate members enjoy all the benefits of TALI membership except they have no voting privileges, are not eligible to be Lifetime Members and may not hold office on the TALI Board of Directors. 2.1.3 Associate Member - Non Voting: Persons engaged in private investigation residing outside the State of Texas, who are licensed and in good standing with a governing body. If no licensing exists in the state where the applicant conducts business, a letter from the Sheriff's Department of the county where the applicant conducts business shall be required. The letter shall show that the applicant has no convictions of the grade of felony or misdemeanor involving moral turpitude. Associate members enjoy all the benefits of TALI membership except they have no voting privileges, are not eligible to be Lifetime Members and may not hold office on the TALI Board of Directors. The number of members from an investigative company is unrestricted. 2.1.4 Associate Vendor - Non Voting: Individuals or business engaged in providing products and/or services to the investigative industry. Associate Vendor members enjoy all the benefits of TALI membership, except they have no voting privileges, are not eligible to be Lifetime Members and may not hold office on the TALI Board of Directors. 2.1.5 Honorary Member - Voting: May be granted for one year by the Board of Directors to those current or former TALI members performing outstanding service or under special circumstances. Honorary members enjoy all the benefits of TALI membership. There shall be no dues for Honorary Membership. 2.1.6 Lifetime Members - Voting: Members who have twenty consecutive years of membership in TALI. There shall be no dues for Lifetime Members and no requirement to maintain an active license with the governmental authority regulating the Private Investigators in the State of Texas if none is required. 2.1.7 Senior Member - Non Voting: Individuals licensed or registered by the state agency charged with the licensing and oversight of Private Investigators in Texas as a Private Investigator or Private Investigations Company on the date of their retirement from active practice after their 62nd birthday shall be eligible to make application for Senior Member membership which shall not be a voting member of the corporation, they may not hold office on the TALI Board of Directors and are not eligible to be Lifetime Members. 2.1.8 Student Member - Non Voting: Individuals enrolled in an accredited university or program acceptable to the Board of Directors and not licensed as a Private Investigator in Texas shall be eligible to make application for Student Member membership which shall not be a voting member of the corporation, they may not hold office on the TALI Board of Directors and are not eligible to be Lifetime Members. The Board of Directors shall develop a policy for processing and accepting or rejecting Membership Applications. The Secretary of TALI shall maintain the original application forms. Directors and shall be due and payable on December 31 of each year. Members shall be elected by the Board of Directors. An affirmative vote of a fifty percent (50.00%) of the Board of Directors shall be required for election. 2.5.1 Suspension or Expulsion After Hearing: The Board of Directors, by affirmative vote of fifty-one percent (51.00%) of the Board of Directors, may suspend or expel a member for cause after an appropriate hearing. Cause shall consist of but is not limited to a felony conviction, conviction of a Class A misdemeanor involving a firearm or the use or threatened use of violence, conviction of a Class B or higher offense theft or fraud offense involving the corporation or a client of the member as the victim, filing of a lawsuit seeking money damages from the corporation, failure to remain in good standing with the state agency charged with the licensing and oversight of private investigators in Texas or upon a finding of guilt of actions deemed to be in contravention of the best interests of the corporation's membership. 2.5.2 Other Grounds for Suspension or Expulsion: The members may suspend or expel a member for a felony conviction, conviction of a Class A misdemeanor involving a firearm or the use or threatened use of violence, conviction of a Class B or higher theft or fraud offense involving the corporation or a client of the member as the victim, filing of a lawsuit seeking money damages from the corporation, failure to remain in good standing with the state agency charged with the licensing and oversight of private investigators in Texas or upon a finding of guilt of actions deemed to be in contravention of the best interests of the corporation's membership or violation of the Texas Investigator's Code of Ethics upon a motion made, seconded and majority vote of the members at the annual meeting of the corporation provided the member is given ten (10) days of notice to appear and given a fair opportunity to object to her expulsion. A member may appeal his/her termination of membership or expulsion at the next scheduled Annual Business Meeting. The member must notify the Secretary in writing of the appeal thirty (30) days prior to the first day of the Annual Convention. The appeal will be made before an Expulsion Appeals Committee comprised of two (2) active voting TALI members appointed by the appealing member, two (2) active voting TALI members appointed by the Board of Directors, and one (1) active voting TALI member, appointed by the President, who will serve as committee chairman. The decision of the committee will be final. Any member may resign by filing a written resignation with the Secretary but no refund of the annual dues or other membership charge shall be refunded to the member. Upon written request signed by a former member and filed with the Secretary, the Board of Directors may, by the affirmative vote of fifty-one percent (51.00%) of the Board of Directors, reinstate such former member to membership upon such terms or in such class of membership as the Board of Directors may deem appropriate. Membership in this Corporation is not transferable or assignable except that a business or vendor member may alter its designated Owner, Officer or Manager not to exceed twice in one year. The Board of Directors may designate any place, either within or outside the State of Texas, as the place of meeting for any annual meeting or for any special meeting called by the Board of Directors. If no designation is made or if a special meeting is otherwise called, the place of meeting shall be the registered office of the Corporation in the State of Texas but if all of the members shall meet at any time and place, either within or outside the State of Texas, and there is consent to the holding of a meeting, such meeting shall be valid without call or notice, and at such meeting any corporate action may be taken. Board of Directors, unless exigent circumstances force the cancellation or postponement of an annual meeting. Failure to hold the annual meeting at the designated time and/or place, shall not work as a dissolution of TALI. In the event the Board of Directors fails to call the annual meeting at the designated time, any member may make demand that such meeting be held within a reasonable time, such demand to be made in writing by registered mail directed to any officer of the Corporation. If the annual meeting of members is not called within ninety (90) days following such demand, any member may compel the holding of such annual meeting by legal action directed against the Board of Directors, and all of the extraordinary writs of common law and of courts of equity shall be available to such member to compel the holding of such annual meeting. the membership as a part of another Association communication. Special meetings of the members may be called by the President, the Board of Directors, or by members having not less than one-tenth (1/10th) of the votes entitled to be cast at such meeting subscribed in writing and presented to the President with the purpose of the meeting endorsed thereon. Only business within the purpose or purposes described in the notice or executed waiver of notice may be conducted at a special meeting of the members. Any person or persons entitled hereunder to call a special meeting of members may do so only by written request sent by certified mail or delivered in person to the President or Secretary. Members requesting the special meeting shall submit to the President or Secretary signatures of members having not less than one- tenth (1/10th) of the votes entitled to be cast at such meeting subscribed in writing and presented to the President or Secretary with the purpose of the meeting endorsed thereon. The officer receiving the written request shall within ten days from the date of its receipt cause notice of the meeting to be given in the manner provided by these Bylaws to all members entitled to vote at the meeting. If the officer does not give notice of the meeting within ten days after the date of receipt of the written request, the person or persons calling the meeting may fix the time of meeting and give the notice in the manner provided in these Bylaws. Nothing contained in this section shall be construed as limiting, fixing, or affecting the time or date when a meeting of members called by action of the Board of Directors may be held. Each voting member, regardless of class, shall be entitled to one (1) vote on each matter submitted to a vote of the members, except to the extent that the voting rights of members of any class or classes are limited, enlarged, or denied by the Articles of Incorporation or these Bylaws. A member may vote in person or, unless the Articles of Incorporation or these Bylaws otherwise provide, may vote by absentee ballot executed in writing by the member. No absentee vote shall be valid after three (3) months from the date of its execution, unless otherwise provided in the absentee solicitation. Each absentee ballot shall be revocable unless expressly provided therein to be irrevocable, and in no event shall it remain irrevocable for more than three (3) months. Elections of directors or officers may be conducted by mail, by facsimile transmission, e-mail or electronic transmission or by any combination of the methods. At each election for directors every member entitled to vote at such election shall have the right to vote, in person or by absentee ballot, if he is not present and the absentee ballot is timely received and authenticated by the elections administrator, for as many persons as there are directors to be elected and for whose election he has a right to vote. Each person or proposition submitted to the members for vote may have only one vote cast per proposition or elective position. The vote of the majority of the votes entitled to be cast by the members present at a meeting at which a quorum is present, shall be the act of the members meeting, unless the vote of a greater number is required by law, the Articles of Incorporation, or these Bylaws. Any vote of the members may be taken by private written ballot, voice or show of hands unless 10 percent of the members entitled to vote, either in person or by absentee ballot, objects, in which case written ballots shall be used exclusively. For election of director or officer positions, written ballot shall be the preferred but not exclusive manner of voting by members. Unless otherwise provided in the Articles of Incorporation or in these Bylaws, members holding one tenth of the votes entitled to be cast, represented in person, shall constitute a quorum. Unless otherwise provided in the Articles of Incorporation or these Bylaws, once a quorum is present at a meeting of members, the members represented in person at the meeting may conduct such business as may be properly brought before the meeting until it is adjourned, and the subsequent withdrawal from the meeting of any member or the refusal of any member represented in person to vote shall not affect the presence of a quorum at the meeting. Unless otherwise provided in the Articles of Incorporation or these Bylaws, the members represented in person at a meeting of members at which a quorum is not present may adjourn the meeting until such time and to such place as may be determined by a vote of the majority of the members represented in person at that meeting. The record date for determining the members entitled to notice of a members' meeting and for determining the members entitled to vote at a members' meeting shall be the close of business on the business day preceding the date of the meeting, or if notice is waived, at the close of business on the business day preceding the date of the meeting. A determination of members entitled to notice of or to vote at a members' meeting is effective for any adjournment of the meeting unless the Board of Directors fix a new date for determining the right to notice or the right to vote. The Board of Directors must fix a new date for determining the right to notice or the right to vote if the meeting is adjourned to a date more than ninety (90) days after the record date for determining members entitled to notice of the original meeting. After fixing a record date for the notice of a meeting, the Corporation shall prepare an alphabetical list of the names of all the voting members who are entitled to notice of the meeting. The list must show the address and number of votes each voting member is entitled to cast at the meeting. The Corporation shall maintain, through the time of the members' meeting, a list of members who are entitled to vote at the meeting but are not entitled to notice of the meeting. This list shall be prepared on the same basis and be part of the list of voting members. Not later than two (2) business days after the date notice is given of a meeting for which a list was prepared, as provided above, and continuing through the meeting, the list of voting members must be available for inspection by any member entitled to vote at the meeting for the purpose of communication with other members concerning the meeting at the Corporation's principal office or at a reasonable place identified in the meeting notice in the city where the meeting will be held. A voting member or voting member or attorney is entitled on written demand to inspect the list at a reasonable time at its normal location and at the member's expense during the period it is available for inspection. The Corporation shall make the list of voting members available at the meeting, and any voting member or voting member's attorney is entitled to inspect the list at any time during the meeting or any adjournment. Any action required by the Texas Non-Profit Corporation Act to be taken at a meeting of the members, or any action which may be taken at a meeting of the members or any committee, may be taken without a meeting if a consent in writing, setting forth the action to be taken, shall be signed by all the members entitled to vote with respect to the subject matter thereof, or all of the members of the committee, as the case may be. Such consent shall have the same force and effect as a unanimous vote. If the Corporation's Articles of Incorporation so provide, any action required by the Texas Non-Profit Corporation Act to be taken at a meeting of the members or any action that may be taken at a meeting of the members of any committee may be taken without a meeting if a consent in writing, setting forth the action to be taken, is signed by a sufficient number of members or committee members as would be necessary to take that action at a meeting at which all of the members or members of the committee were present and voted. Each written consent shall bear the date of signature of each member or committee member who signs the consent. A written consent signed by less than all of the members or committee members is not effective to take the action that is the subject of the consent unless, within sixty (60) days after the date of the earliest dated consent delivered to the Corporation in the manner required by this section, a consent or consents signed by the required number of members or committee members is delivered to the Corporation at its registered office, registered agent, principal place of business, transfer agent, registrar, exchange agent, or an officer or agent of the Corporation having custody of the books in which proceedings of meetings of members or committees are recorded. Delivery shall be by hand or certified or registered mail, return receipt requested. Delivery to the Corporation's principal place of business shall be addressed to the President or principal executive officer of the Corporation. Prompt notice of the taking of any action by members or a committee without a meeting by less than unanimous written consent shall be given to all members or committee members who did not consent in writing to the action. If any action by members or a committee is taken by written consent signed by less than all of the members or committee members, any articles or documents filed with the Secretary of State as a result of the taking of the action shall state, in lieu of any statement required by this Act concerning any vote of the members, that written consent has been given in accordance with the provisions of Article 13969.1O of the Texas Non- Profit Corporation Act and that any written notice required by such Article has been given. A telegram, email, telex, cablegram, or similar transmission by a member or member of a committee or a photographic, photostatic, facsimile, or similar reproduction of a writing signed by a member or member of a committee shall be regarded as signed by the member or member of a committee for purposes of this section. The members, by resolution adopted by a majority of the members eligible to vote, may designate one or more committees, which, to the extent provided in such resolution, shall have and exercise the authority of the members in the management of the Corporation, except as limited by the Articles of Incorporation, these Bylaws or the Texas Non-Profit Corporation Act. Each such committee shall consist of two or more members. The designation of such committees and the delegation thereto of authority shall not operate to relieve the members, of any responsibility imposed upon it or him by law. Each member of a committee shall continue as such until the next annual meeting of the members of the Corporation and until his successor is appointed, unless the committee shall be sooner terminated, or unless such member be removed from such committee, or unless such member cease to qualify as a member thereof. One member of each committee shall be appointed chairman by the person or persons authorized to appoint the members thereof. Vacancies in the membership of any committee may be filled by appointments made in the same manner as provided in the case of the original appointments. Unless otherwise provided in the resolution designating a committee, a majority of the whole committee shall constitute a quorum and the act of a majority of the members present at a meeting at which a quorum is present shall be the act of the committee. Each committee may adopt rules for its own government not inconsistent with these Bylaws or with rules adopted by the members. The President will select an Elections Committee to assist in the elections process. Advanced nominations for office must be made in writing to the Elections Committee and may be submitted by electronic mail or mailed through the United States Postal Service to the Elections Committee Chairperson and post-marked no later than 70 days prior to the members meeting in order to appear on the TALI Absentee Ballot for that year. In order for campaign material to be included in TALI election publications, it must be delivered to the TALI Administrator no later than 55 days prior to the annual members meeting of the year. Nominations except for the office of President, Position 9, may be accepted from the floor at the Annual Business Meeting. No member may be nominated for more than one office at the same time. If a member is nominated for more than one position, that member must immediately choose which nomination he wishes to decline. At the completion of the term of office of the President, the President Elect (At Large Director Position 10) shall assume the role of President (At Large Director Position 9) . In the event that person is unwilling or unable to assume the office of the President or the President Elect is serving an appointed term the procedure for election shall be that as for all other vacancies. The Board of Directors shall notify the membership by publication, no later than 45 days prior to the date of the Annual Convention, of the candidates for each position. Active members who do not attend the Annual Convention/Business Meeting may vote by absentee ballot. The absentee ballots shall be mailed to each Active Member in good standing, no later than 45-days prior to the Annual member's Meeting. Absentee Ballots must be received by the Elections Committee and must be postmarked by the U.S. Postal Service no later than ten (10) days prior to the election. Voting may be conducted electronically. The election committee shall prepare an alphabetical list of all absentee ballots received and compare that to the list of members present to vote and if a member who submitted an absentee ballot is present, the absentee ballot shall be destroyed before voting begins. Any date deadline that falls on a Saturday, a Sunday, or a federal holiday shall be valid on the next calendar business day. If a candidate fails to receive a majority vote in a contested race involving more than two candidates, a run-off election shall be held before the end of the Annual Business Meeting between the two candidates receiving the most votes. The members present and qualified to vote at the Annual Member's Meeting shall vote in the run-off election. The candidate receiving the majority vote in the run- off election shall be elected to the position sought. In the event an election results in a tie vote, a revote will be conducted during the Annual Member's Meeting, with the President refraining from voting. Should the revote result in a second tie vote, the President will cast the deciding vote to determine the winner of the election. Unless the Articles of Incorporation or a bylaw adopted by the members provides otherwise as to all or some portion of these Bylaws, the members may amend or repeal these Bylaws or adopt new Bylaws. Active Members may submit proposed changes to the bylaws. Submissions must be in a typed format and received no later than 70 days prior to the member's meeting each year by the Secretary of the Association. The proposed bylaw change will be published and placed in the mail to the membership no later than no later than 45 days prior to the member's meeting of each year. Any date deadline that falls on a Saturday, a Sunday, or a federal holiday shall be valid on the next calendar business day. Those active members present at the Annual member's Meeting will vote on proposed bylaw amendments, and any subsequent modifications to the proposed bylaws presented to the membership. Proposed amendments to the bylaws may be amended by the original proposer prior to a vote. After a proposed bylaw change has been voted down, motions to amend the proposed bylaw change may be taken from the floor and voted upon at the annual member's meeting. All submitted bylaw changes, this year 2018, are to take place 30 days later. It shall be the duty of the Board of Directors, in concert with legal counsel or other counsel if needed, to interpret the bylaws of the corporation so long as the interpretation of the bylaws adopts a clear meaning of the bylaw and such interpretation is not in contradiction or violation of the articles of incorporation, the Texas Non-Profit Corporation Act, the Business Organizations Code or Internal Revenue Service rules governing Non-Profit Corporations. To the extent not limited or prohibited by law, the Articles of Incorporation or these Bylaws, the powers of the Corporation shall be exercised by or under the authority of, and the business and affairs of the Corporation shall be managed under the direction of the Board of Directors of the Corporation. Directors must be residents of the State of Texas and members of TALI. The number of directors shall be ten (10) provided that the number may be increased or decreased from time to time by an amendment to these Bylaws, provided that the number of directors may not be decreased to fewer than three (3). No decrease in the number of Directors shall have the effect of shortening the term of any incumbent director. The Board of Directors shall consist of 5 at large Directors elected by all of the membership at the annual meeting subject to the staggered terms below and 5 Regional Directors who shall sit on the Board of Directors by virtue of their election to the position of Regional Directors as enumerated herein. At the annual meeting of members, the members shall elect At Large Directors and Regional Directors. If for any reason the Annual Meeting is cancelled, then all Directors will remain in their respective positions until an election for At Large Directors and Regional Directors is conducted by electronic voting. Once elected, a Director shall hold office until the second annual election of directors after the director’s election and/or until his successor shall have been elected, appointed, or designated and qualified. Each director position shall be designated by a consecutive number beginning with the number 1 Through 10. Odd number director positions shall be elected in odd years and even numbered director positions shall be elected in even years. Position 9- At Large Director shall serve as President. The Position 9- At Large Director (President) shall ascend to the position of President after having previously served as Position 10- At Large Director and President Elect. Therefore, there shall be no election for Position 9- At Large Director (President) unless the sitting President Elect is either unwilling to assume the position of President, or is unable to do so due to an infirmity, or due to the President Elect not having been elected to the position and serving an appointed term. If the President Elect is serving an appointed term then an election must be held for a new President. The minimum qualification of members of the Board of Directors shall be One (1) complete year of Active membership in TALI. 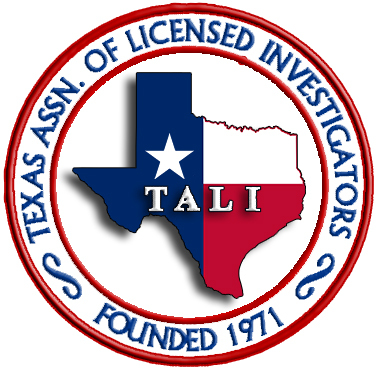 Only one Active Member registered or licensed under a single license number issued by the Agency regulating Private Investigators in the State of Texas may hold office on the TALI Board of Directors at a time. Continued Membership in good standing is required for continuance of an Officer or Director. A director may be removed from office, with or without cause, by the persons entitled to elect, designate, or appoint the director or by a unanimous vote of the remaining directors at any board meeting. If the director was elected to office, removal requires an affirmative vote equal to the vote necessary to elect the director plus one vote or by a unanimous vote of the all of the then sitting remaining directors at any board meeting. A director may resign by providing written notice of such resignation to the Corporation. The resignation shall be effective upon the date of receipt of the notice of resignation or the date specified in such notice. Acceptance of the resignation shall not be required to make the resignation effective. Any vacancy occurring in the Board of Directors shall be filled by nomination by the President of the Association and the affirmative vote of a majority of the remaining directors though less than a quorum of the Board of Directors. A director elected to fill a vacancy shall be elected for the unexpired term of his predecessor in office. Any directorship to be filled by reason of an increase in the number of directors shall be filled by election at an annual meeting or at a special meeting of members called for that purpose. Immediately following each annual meeting of members, the Board of Directors elected at such meeting shall hold an open annual meeting at which they shall elect officers and transact such other business as shall come before the meeting. The time and place of the annual meeting of the Board of Directors may be changed by resolution of the Board of Directors with thirty (30) days of notice to the membership if not immediately following the annual meeting of members. All regular meetings of the Board of Directors may be held utilizing an electronic conferencing program such as "Go To Meeting" or some other comparable electronic conferencing program. Board meetings may be recorded utilizing the program software of the conferencing subscription and made available on the TALI website for subsequent review by all members. In addition, members may monitor the meetings of the Board of Directors in real- time (live), subject to the limitations of the TALI conferencing subscription. The Administrator of TALI shall be responsible for giving notice via electronic mail to the membership of the dates and times of the meetings of the Board of Directors and shall provide the membership with the sign on instructions and/or passwords that will enable the TALI members to monitor the meetings in real-time (live). Further, it shall be up to the discretion of the President to determine the date and time of the meetings of the Board of Directors and whether such meetings are held entirely in person, partially in person, partially by electronic conference, or entirely by electronic conference, as long as such meetings are conducted utilizing the electronic conferencing subscription purchased by TALI. Finally, it shall be up to the discretion of the President to determine whether the conferenced board meetings include both audio and video, but they shall include at least audio. The Secretary shall call a special meeting of the Board of Directors whenever requested to do so by the President or by six (6) or more directors. Such special meeting shall, whenever possible, be held by electronic conferencing program in the same manner as prescribed in paragraph 3.7. All meetings of the Board of Directors shall be held either at the principal office of the Corporation or at such other place, either within or without the State of Texas, as shall be specified in the notice of meeting or executed waiver of notice. Notice of any special meeting of the Board of Directors shall be given at least two days previously thereto by written notice delivered personally or sent by mail, email, facsimile or telegram to each Director at his address as shown by the records of the Corporation. If mailed, such notice shall be deemed to be delivered when deposited in the United States mail in a sealed envelope so addressed, the postage thereon prepaid. If notice is given by telegram, such notice shall be deemed to be delivered when the telegram is delivered to the telegraph company. If notice is given by facsimile or email, such notice shall be deemed to be delivered when the facsimile or email is delivered to the director and confirmed. Any Director may waive notice of any meeting. The attendance of a Director at any meeting shall constitute a waiver of notice of such meeting, except where a Director attends a meeting for the express purpose of objecting to the transaction of any business because the meeting is not lawfully called or convened. Neither the business to be transaction at. nor the purpose of1 any regular or special meeting of the Board need be specified in the notice or waiver of notice of such meeting, unless specifically required by law or by these by-laws. A quorum for the transaction of business by the Board of Directors shall be a majority of the number of directors fixed by these Bylaws. The act of the majority of the directors present in person at a meeting at which a quorum is present shall be the act of the Board of Directors, unless the act of a greater number is required by law or the Articles of Incorporation. Directors, as such, shall not receive any compensation for their services. but by resolution of the Board of Directors, expenses of attendance or miscellaneous out of pocket expenses, if any, may be allowed for attendance at any meeting of the Board of Directors. A director shall not be precluded from serving the Corporation in any other capacity and receiving compensation for such services. Members of committees may be allowed similar reimbursement of expenses for attending committee meetings or miscellaneous out of pocket expenses. Reimbursement of expenses to the Board of Directors or Committee members shall be detailed in writing and made available to the membership at the annual meeting for their review. No reimbursement to a director or committee member shall exceed $500.00 without a prior authorization from the Board of Directors. Any action required by the Texas Non-Profit Corporation Act to be taken at a meeting of the Board of Directors, or any action which may be taken at a meeting of the Board of Directors or any committee, may be taken without a meeting if a consent in writing, setting forth the action to be taken. shall be signed by all the Board of Directors entitled to vote with respect to the subject matter thereof, or all of the members of the committee, as the case may be. Such consent shall have the same force and effect as a unanimous vote. Any action required by the Texas Non-Profit Corporation Act to be taken at a meeting of the Board of Directors or any action that may be taken at a meeting of the Board of Directors of any committee may be taken without a meeting if a consent in writing, setting forth the action to be taken, is signed by a sufficient number of Board of Directors or committee members as would be necessary to take that action at a meeting at which all of the Board of Directors or members of the committee were present and voted. Each written consent shall bear the date of signature of each Director or committee member who signs the consent. A written consent signed by less than all of the Board of Directors or committee members is not effective to take the action that is the subject of the consent unless, within sixty (60) days after the date of the earliest dated consent delivered to the Corporation in the manner required by this section, a consent or consents signed by the required number of Board of Directors or committee members is delivered to the Corporation at its registered office, registered agent, principal place of business, transfer agent, registrar, exchange agent, or an officer or agent of the Corporation having custody of the books in which proceedings of meetings of Board of Directors or committees are recorded. Delivery shall be by hand or certified or registered mail, return receipt requested. Delivery to the Corporation's principal place of business shall be addressed to the President or principal executive officer of the Corporation. Prompt notice of the taking of any action by Board of Directors or a committee without a meeting by less than unanimous written consent shall be given to all Board of Directors or committee members who did not consent in writing to the action. If any action by the Board of Directors or a committee is taken by written consent signed by less than all of the Board of Directors or committee members, any articles or documents filed with the Secretary of State as a result of the taking of the action shall state, in lieu of any statement required by this Act concerning any vote of the Board of Directors or committee members, that written consent has been given in accordance with the provisions of Article 13969.10 of the Texas Non-Profit Corporation Act and that any written notice required by such Article has been given. A telegram, facsimile, email, signed letter, telex, cablegram, or similar transmission by a Director or member of a committee or a photographic, photostatic, facsimile, or similar reproduction of a writing signed by a Director or member of a committee shall be regarded as signed by the Director or member of a committee for purposes of this section. The Board of Directors, by resolution adopted by a majority of the Directors in quorum, may designate and appoint one or more committees, each of which shall consist of two or more Directors or members, which committees, to the extent provided in said resolution, may be appointed in such manner as may be designated by a resolution adopted by a majority of the Directors present at a meeting at which a quorum is present. Except as otherwise provided in such resolution, members of each such committee shall be members of the Corporation, and the President of the Corporation shall nominate the members thereof subject to the approval of a majority of a quorum of the Board of Directors present at such meeting. Any member thereof may be removed by the person or persons authorized to nominate such member whenever in their judgment the best interests of the Corporation shall be served by such removal. Each member of a committee shall continue as such until the next annual meeting of the members of the Corporation and until his successor is appointed, unless the committee shall be sooner terminated, or unless such member be removed from such committee, or unless such member cease to qualify as a member thereof. The Board of directors may designate one or more directors as ex officio members of any committee. One member of each committee shall be appointed chairman by the person or persons authorized to appoint the members thereof. Vacancies in the membership of any committee may be filled by appointments made in the same manner as provided in the case of the original appointments. Unless otherwise provided in the resolution of the Board of Directors designating a committee, a majority of the whole committee shall constitute a quorum and the act of a majority of the members present at a meeting at which a quorum is present shall be the act of the committee. Each committee may adopt rules for its own government not inconsistent with these bylaws or with rules adopted by the Board of Directors. In the event of inconsistency with law or these bylaws, the bylaws of the Texas Association of Licensed Investigators shall be superseded by the Articles of Incorporation of the Corporation which in tum shall be controlled by the Texas Business Organization Code. Member meetings, Board meetings and committee meetings shall be administered in general conformity with the latest edition of Robert's Rules of Order for non-profit organizations. The Board of Directors shall develop and adopt by a majority of the Directors in office, Corporate Resolutions and policies to establish procedures to carry out its responsibilities. The Corporate Resolutions shall be made a permanent part of the Corporate Record Book maintained by the Secretary. No Director, officer, regional director, employee or member may incur unbudgeted expenses above $100.00 on behalf of TALI without Board authorization. A member shall hold only one Board position. Should a sitting Board Member be elected to a second Board position, he/she must choose in which position he/she wishes to serve and immediately resign from the other position. All meetings of the Board of Directors shall be open to attendance of any member of the corporation. Email, Telephone, or electronically preserved meetings of the Board shall be maintained by the Secretary of the Corporation and shall be available for review by a member of the corporation during normal work hours with notice at the office of the corporation or the office of the Secretary of the Corporation. The Board of Directors and Association Administrator are required to attend an orientation meeting of the Board of Directors, to be held within ninety (90) days of the close of the Annual Convention, at a time and place to be determined by the President. 3.21.3 a brief summary of action taken on each agenda item. 3.21.4 If a treasurer's report is made at the meeting, the president shall cause a copy of that report to be appended to the meeting report. The officers of the Corporation shall consist of a president and a secretary and may also consist of one or more vice-presidents, a treasurer, and such other officers and assistant officers as may be deemed necessary and are appointed by the Board of Directors. New offices may be created and filled at any meeting of the Board of Directors. Any two or more offices may be held by the same person, except the offices of president and secretary. A committee duly designated by the Board of Directors may perform the functions of any officer and the functions of any two or more officers may be performed by a single committee, including the functions of both president and secretary. All officers other than the President and First Vice President/President-Elect shall be elected or appointed annually by the Board of Directors at the regular annual meeting of the Board of Directors for such terms as the Board of Directors decides and not inconsistent with the term limits imposed herein. Any officer elected or appointed may be removed by the Board of Directors whenever in their judgment the best interests of the Corporation will be served thereby. The removal of an officer shall be without prejudice to the contract rights, if any, of the officer so removed. Election or appointment of an officer or agent shall not of itself create contract rights. A vacancy in any office because of death, resignation, removal, disqualification or otherwise, may be filled by nomination by the President with a majority vote of the Board of Directors for the unexpired portion of the term. In the event of the President's death, resignation, removal from office or medical disability, the President-elect shall assume the role of the President and perform all of the duties of the President for the remainder of the President's term of office. At the completion of the President's unexpired term of office, the President-elect shall then serve the normal term of office of President for which he or she was elected. Each officer shall have, subject to these Bylaws, in addition to the duties and powers specifically set forth herein, such powers and duties as are commonly incident to that office and such duties and powers as the Board of Directors shall from time to time designate. All officers shall perform their duties subject to the directions and under the supervision of the Board of Directors. The Board of Directors may secure the fidelity of any and all officers by bond or otherwise. All officers and agents of the Corporation, as between themselves and the Corporation, shall have such authority and perform such duties in the management of the Corporation as may be provided in theses Bylaws, or as may be determined by resolution of the Board of Directors not inconsistent with these Bylaws. In the discharge of a duty imposed or power conferred on an officer of a Corporation, the officer may in good faith and with ordinary care rely on information, opinions, reports, or statements, including financial statements and other financial data, concerning the Corporation or another person, that were prepared or presented by: (1) one or more other officers or employees of the Corporation, including members of the Board of Directors; or (2) legal counsel, public accountants, or other persons as to matters the officer reasonably believes are within the person's professional or expert competence. An officer is not relying in good faith within the meaning of this section if the officer has knowledge concerning the matter in question that makes reliance otherwise permitted by this subsection unwarranted. The President shall be an elected member of the Board of Directors. The President shall be the person elected to At Large Board Position Nine (9). The President shall be the chief executive officer of the Corporation and shall preside at all meetings of all committees and members. Such officer shall see that all orders and resolutions of the board are carried out, subject however, to the right of the directors to delegate specific powers, except such as may be by statute exclusively conferred on the President, to any other officer of the Corporation. The President shall supervise the business affairs of the organization. The President shall prepare the agenda for all Board of Director meetings. The President, or his/her designee from the Board of Directors, shall preside at the Annual Convention and Annual Business Meeting. The President shall nominate members or others to all committees, subject to approval by the Board of Directors, except those specifically designated to other officers under these Bylaws. The President may independently appoint those committees which are purely advisory to the President and which have no independent powers. The President shall preside at Board Meetings. The President may appoint a Parliamentarian, and may appoint a Sergeant at Arms. The President shall represent the majority view or official position of the Board of Directors on all issues the Association Board of Directors may adopt formally and shall not express his independent views as a representative of TALI. The President or Treasurer shall execute bonds, contract, contracts and other instruments requiring a signature, in the name of the Corporation. When authorized by the board, the President or Treasurer may affix the seal to any instrument requiring the same, and the seal when so affixed shall be attested by the signature of the President, Treasurer, Secretary or other authorized officer of the Corporation. The President, Treasurer, Secretary or other authorized officer shall sign certificates of Membership. The President shall be an ex-officio member of all committees. The President shall submit a report of the operations and financial condition of the Corporation for the year to the directors at their meeting next preceding the annual meeting of the members and to the members at their annual meeting. The Secretary of the Corporation shall be appointed by a majority vote of a quorum of the Board of Directors at the annual Board meeting or at a meeting immediately following a vacancy in the position. The Secretary may be any person other than the President. The Secretary of the Corporation shall attend all sessions of the Board and act as clerk thereof, and record all the votes and business of the Board of Directors, and record the Minutes of all its transactions in the Corporate Record Book. The Secretary shall prepare and furnish a record of the Minutes to the Board of Directors within 30 days of said meeting. The Secretary shall cause to be prepared notices to the membership of the time and place of the Annual Business Meeting and regularly scheduled meetings of the Board of Directors. The Secretary will prepare and file Forms 401 and 405 with the Texas Secretary of State, listing any Amendments to the Articles of Incorporation, changes to the Board of Directors, Registered Agent, and Registered Address, within thirty (30) days of the conclusion of the Annual Convention. The Secretary will file an annual Public Information Report with the Comptroller of Public Accounts. In the absence of the Secretary, the minutes of all meetings of the board and members shall be recorded by such person as shall be designated by President or his/her designee. Nothing in these bylaws shall prevent the Secretary from also serving as the Treasurer, comptroller or other officer position. The Treasurer shall be appointed by a majority vote of a quorum of Directors at the annual meeting. The Treasurer shall not be a member of the Board of Directors. The Treasurer shall have the oversight of the corporate funds, financial records and securities and shall keep full and accurate accounts of receipts and disbursements in books belonging to the Corporation and shall deposit all moneys and other valuable effects in the name and to the credit of the Corporation in such depositories as may be designated by the Board of Directors. The Treasurer shall oversee disbursal of the funds of the Corporation as may be ordered by the Board of Directors or disburse then due funds to established vendors to the corporation upon instruction from the President taking proper vouchers for such disbursements. The Treasurer shall oversee or keep and maintain the Corporation's books of account and shall render to the President and directors at each regularly scheduled Board meeting an account of all of his or her transactions as Treasurer and of the financial condition of the Corporation and exhibit the books, records and accounts to the President or directors at any time. The Treasurer shall oversee disbursal of funds for capital expenditures as authorized by the Board of Directors and in accordance with the orders of the President, and present to the President for his or her attention any requests for disbursing funds if in the judgment of the Treasurer any such request is not properly authorized. The Treasurer shall perform such other duties as may be directed by the Board of Directors or by the President. If required by the Board of Directors, the Treasurer shall give the Corporation a bond in such sum and with such surety or sureties as shall be satisfactory to the Board of Directors for the faithful performance of the duties of the office and for the restoration to the Corporation, in case of death, resignation, retirement or removal from office, of all books, papers, vouchers, money and other property of whatever kind in the incumbent's possession or under the incumbent's control belonging to the Corporation. The Treasurer shall oversee all financial records and comply with good and reasonable accounting practices for all financial affairs of TALI. The Treasurer shall present current financial statements at Board of Directors meeting. The Treasurer shall oversee the receipt and deposit of TALI moneys in a banking facility approved by the Board of Directors. The Treasurer shall oversee the payment of TALI expenses approved by the Board of Directors. The Treasurer shall maintain and file in a timely manner all reports and tax returns with the Internal Revenue Service, Secretary of State, Office of the Comptroller and other agencies as required by law. By April 1 of each year, the Treasurer shall prepare and present to the Board of Directors a Proposed Annual Budget. The Treasurer shall prepare and present an Annual Financial Report at the Annual Business Meeting. 4.9.1 Election: Five At Large Directors shall be elected by the members to serve on the Board of Directors. 4.9.2 Duties: Shall attend TALI Board of Directors Meetings. At Large Director position 9 shall serve as the TALI President. At Large Director position 10 shall serve as the TALI President-Elect and shall succeed the President upon the expiration of the President's term of office. The Board of Directors may provide for the issuance of certificates, or cards, or other instruments evidencing membership rights, voting rights or ownership rights (hereinafter referred to as "certificates"), which shall be in such form as may be determined by the Board. Such certificates shall be signed by the President, Treasurer or Vice President and by the Secretary or an Assistant Secretary. The name and address of each member and the date of issuance of the certificate shall be entered on the records of the Corporation. If any certificate shall become lost, mutilated or destroyed, a new certificate may be issued therefore upon such terms and conditions as the Board of Directors determine. When a member has been elected to membership and has paid any initiation fee and dues that may then be required, a certificate may be issued in his or her name and delivered to him or her by the Secretary, if the Board of Directors shall have provided for the issuance of certificates of membership under the provisions of this Article V.
The Corporation shall have the full power to indemnify and advance expenses pursuant to the provisions of the Texas Non-Profit Corporation Act to any person entitled to indemnification under the provisions of the Texas Non-Profit Corporation Act. The Corporation may purchase and maintain insurance or another arrangement on behalf of any person who is or was a member, director, officer, employee, or agent of the Corporation or who is or was serving at the request of the Corporation as a director, officer, partner, venturer, proprietor, trustee, employee, agent, attorney or similar functionary of another foreign or domestic corporation, employee benefit plan, other enterprise, or other entity, against any liability asserted against him or her and incurred by him or her in such a capacity or arising out of his or her status as such a person, whether or not the Corporation would have the power to indemnify him or her against that liability. If the insurance or other arrangement is with a person or entity that is not regularly engaged in the business of providing insurance coverage, the insurance or arrangement may provide for payment of a liability with respect to which the Corporation would not have the power to indemnify the person only if including coverage for the additional liability has been approved by the members of the Corporation. Without limiting the power of the Corporation to procure or maintain any kind of insurance or other arrangement, the Corporation may, for the benefit of persons indemnified by the Corporation, (1) create a trust fund; (2) establish any form of self-insurance; (3) secure its indemnity obligation by grant of a security interest or other lien on the assets of the Corporation; or (4) establish a letter of credit, guaranty, or surety arrangement. The insurance or other arrangement may be procured, maintained, or established within the Corporation or with any insurer or other person deemed appropriate by the Board of Directors regardless of whether all or part of the stock or other securities of the insurer or other person are owned in whole or part by the Corporation. In the absence of fraud, the judgment of the Board of Directors as to the terms and conditions of the insurance or other arrangement and the identity of the insurer or other person participating in an arrangement shall be conclusive and the insurance or arrangement shall not be voidable and shall not subject the directors approving the insurance or arrangement to liability, on any ground, regardless of whether directors participating in the approval are beneficiaries of the insurance or arrangement. The President or the First Vice President/President-Elect or their designated representative(s) shall publicly represent the official policies and positions of the Board of Directors of the Association to other entities. Whenever any notice is required to be given to any member or director of the Corporation under the provisions of the Texas Non-Profit Corporation Act or under the provisions of the Articles of Incorporation or these Bylaws, a waiver thereof in writing signed by the person or persons entitled to such notice, whether before or after the time stated therein, shall be equivalent to the giving of such notice. Appearance of a member or Director at a meeting shall serve to operate as a waiver of notice of the meeting attended. The Corporation may adopt a corporate seal or logo in such form as the Board of Directors may determine. The Corporation shall not be required to use the corporate seal or logo and the lack of the corporate seal or logo shall not affect an otherwise valid contract or other instrument executed by the Corporation. The official emblem of TALI is depicted in Exhibit 'A' attached hereto. The official emblem shall be limited to use by TALI members only. All checks, drafts or other instruments for payment of money or notes of the Corporation shall be signed by such officer or officers or such other person or persons as shall be determined from time to time by resolution of the Board of Directors. All funds of the Corporation shall be promptly deposited to the credit of the Corporation in such banks, trust companies, or other depositories as the Board of Directors may select. The Corporation shall keep correct and complete books and records of account and shall keep minutes of the proceedings of the members, Board of Directors, and committees and shall keep at the registered office or principal office in this State a record of the names and addresses of its members entitled to vote. A member of the Corporation, on written demand stating the purpose of the demand at least 10 days in advance, has the right to examine and copy, in person or by agent, accountant, or attorney, at any reasonable time, for any proper purpose, the books and records of the Corporation relevant to that proper purpose, at the expense of the member. The Corporation shall maintain current true and accurate financial records with full and correct entries made with respect to all financial transactions of the Corporation, including all income and expenditures, in accordance with generally accepted accounting practices. All records, books, and annual reports If required by law) of the financial activity of the Corporation shall be kept at the registered office or principal office of the Corporation in this state for at least three years after the closing of each fiscal year and shall be available to the public for inspection and copying there during normal business hours. The Corporation may charge for the reasonable expense of preparing a copy of a record or report. All personal pronouns used in these Bylaws shall include the other gender whether used in masculine or feminine or neuter gender, and the singular shall include the plural whenever and as often as may be appropriate. All headings herein are for the parties' convenience only and neither limit nor amplify the provisions of this Agreement. If any one or more of the provisions of these Bylaws, or the applicability of any such provision to a specific situation, shall be held invalid or unenforceable, such provision shall be modified to the minimum extent necessary to make it or its application valid and enforceable, and the validity and enforceability of all other provisions of these Bylaws and all other applications of any such provision shall not be affected thereby. The Board of Directors may make grammatical corrections as needed. It is the intent of these bylaws to be interpreted as written and the intent ofa provision herein when discernible from its content or context shall preside over the strict language of the bylaw if the language of the bylaw is unclear or deemed contrary to the intent of the bylaw. If the intent of the bylaw is hampered by a technical interpretation of the wording herein, the intent of the bylaw, when known to the Board of Directors, shall be preeminent over the technical language of the bylaw. Adopted by the Board of Directors and Members on AUGUST 25th, 2018.